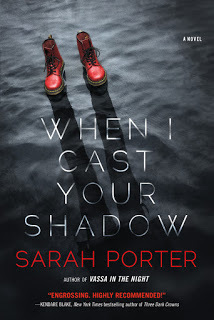 Sarah Porter is the author of the Lost Voices Trilogy (Lost Voices, Waking Storms, The Twice Lost) in addition to Vassa in the Night—all for the teen audience. Her new novel is When I Cast Your Shadow. Ghosts often express a trauma that circles back, that insists on making itself known to the living—but that trauma usually belongs to the ghosts themselves, and not to those they haunt. In a striking shift, the ghosts of We Were Liars, while hardly content with their fate, have accepted the horror that killed them with surprising grace and resignation. It is their surviving friend, Cadence Sinclair, who has repressed all memory of the trauma she unleashed. The ghosts, with a decidedly unghostly gentleness, lead her to a confrontation with the past they all share. 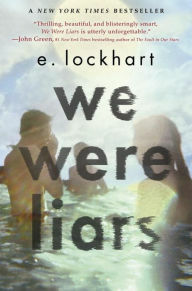 We Were Liars is among S. Jae-Jones's five top YA thrillers with a supernatural twist, Jeff Somers's six novels in which nothing is as it seems, Avery Hastings's five favorite books featuring unreliable narrators, Darren Croucher's five favorite YA novels featuring liars, Michael Waters's six must-read YA books for Mr. Robot fans, Lindsey Lewis Smithson's top seven sob-inducing books that deserve to be made into movies, Ruth Ware's top ten psychological thrillers, and Meredith Moore's five favorite YA thrillers.